Candidates Matter: …give credit to those GOP candidates for not giving Democrats any sort of unforced error or debate flub to use against them. Watch out Colorado, if people like Cook keep stealing our thoughts and ideas, we’ll just have to go national: America Peak Politics… nah, just doesn’t quite have the same ring to it. U.S. Democratic Senators learned why you should never trust a man who has won exactly one campaign his entire life with your entire political operation: He might just have no idea what he’s doing. 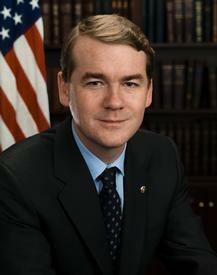 When Sen. Michael Bennet defied the odds in 2010 and held on to his seat when Democratic Representatives, Governors, and Senators were losing theirs, he thought to himself, “well, hot damn, I must have stumbled upon some secret formula.” So convinced of this God-given truth, Bennet was able to fool his fellow Democratic Senators into committing at least $60 million to it. Never did it cross Bennet’s mind that perhaps, just perhaps, he won his race because an—at-the-time— unpolished Ken Buck made unforced errors which swung Colorado against him. No, surely Bennet had stumbled upon the secret formula to winning that thousands and thousands of other campaigns run by thousands and thousands political operatives over the course of U.S. history had never considered before. Not to mention Montana, South Dakota, and West Virginia; seats held by Democrats that were conceded with almost zero fight months ago. Or, Louisiana, which an incumbent Democrat will lose in a runoff in December. A stunning net loss of eight seats, or, roughly 15% of all Democratic caucus. Hell, the term decimated came about just for a 10% loss, and Bennet went another half beyond that! By almost all accounts and measures this election cycle went as bad as possible for the Bennet-led Democratic Senatorial Campaign Committee (DSCC). In fact, it went so bad, we wouldn’t be surprised if the city of Denver renamed the actual Bannock Street just so it wouldn’t have the rank stench of defeat lingering long after Bennet’s “Bannock Street Project” strategy is forgotten. Bennet seemed to ignore the collective knowledge and experience of thousands of campaigns before his own campaign that proved a strong ground game only matters if you get the messaging, fundraising, and discipline right first. Absent those and a half-dozen other important aspects of a campaign, it doesn’t matter how strong your ground game is. Here’s hoping we can get Bennet and his brain-trust to sign on for another go-around in 2016. Surely, an entire campaign based solely on radio ads is the next hot thing. Hope we have the right candidate when his term is up! I never thought him to be the sharpest crayon in the pack anyway. This boy has to be sweating about his chances of winning the next election.